SLIET Recruitment 2019: Sant Longowal Institute of Engineering and Technology (SLIET) / sliet.ac.in is conducting recruitment processes to fill 5 vacancies. As of now, there are two recruitment drives going on for JRF Post and Registrar, Dy Registrar & Asst Registrar Posts. SLIET Recruitment 2019 - Job notification for JRF Post on a project entitled " Optical Metrology of ultra-short pulses for design of flexible MIMO based next generation optical Communication Network " in Department of Electronics and Communication Engineering, SLIET, Sangrur, Punjab. Applications are invited by Sant Longowal Institute of Engineering and Technology (SLIET) on or before 20 Apr 2019 for 1 vacancy. SLIET Recruitment 2019 - Job notification for Registrar, Dy Registrar & Asst Registrar Posts in SLIET, Punjab. 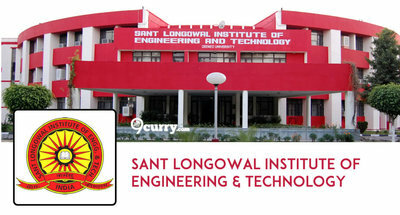 Applications are invited by Sant Longowal Institute of Engineering and Technology (SLIET) on or before 22 Apr 2019 till 05:00 PM for 4 vacancies. SLIET Recruitment 2019 - Walk in for 19 Guest Faculty Posts in Various Departments of SLIET, Punjab. Candidates are invited by Sant Longowal Institute of Engineering and Technology (SLIET) to attend walk-in-interview to be held on 21 Jan 2019 for 19 vacancies. SLIET Recruitment 2019 - Job notification for JRF Post on a project entitled Optical Metrology of Ultra-Short Pulses for Design of Flex ible - MIMO Based Next Generati on Optical Communication Networks in Department of Electronics and Communication Engineering, SLIET, Sangrur, Punjab. Applications are invited by Sant Longowal Institute of Engineering and Technology (SLIET) on or before 07 Apr 2019 for 1 vacancy. SLIET Recruitment 2018 - Walk in for Guest/ Part-Time Teachers Posts in SLIET, Punjab. Candidates are invited by Sant Longowal Institute of Engineering and Technology (SLIET) to attend walk-in-interview to be held on 08 Aug 2018 09:00 AM to 10:00 AM for 8 vacancies. SLIET Recruitment 2018 - Walk in for Medical Officer Posts in SLIET, Punjab on Contract Basis. Candidates are invited by Sant Longowal Institute of Engineering and Technology (SLIET) to attend walk-in-interview to be held on 25 May 2018 09:00 AM for 2 vacancies. SLIET Recruitment 2018 - Job notification for Junior Research Fellow Posts on a project entitled "Design and Development of Novel Optoelectronic Device for High-Speed Reconfigurable Optical Access Networks" in Department of Electronics and Communication Engineering, SLIET, Punjab. Applications are invited by Sant Longowal Institute of Engineering and Technology (SLIET) on or before 07 Mar 2018 and may appear in the interview on dated: 07-03-18 (10.00 am onwards). SLIET Recruitment 2018 - Walk in for Guest/ Part Time Teacher Posts in Food Engineering & Technology, Physics, Civil Engineering and English in M&H Deptt. in SLIET, Punjab. Candidates are invited by Sant Longowal Institute of Engineering and Technology (SLIET) on 22 Jan 2018 at 09:00 AM for 4 vacancies. SLIET Recruitment 2017 - Latest job notification for Walk in for Guest/Part Time Teacher Vacancies in Punjab. Applications are invited by Sant Longowal Institute of Engineering and Technology (SLIET) before 08 Aug 2017 for 6 vacancies. SLIET Recruitment 2017 - Latest job notification for 44 Professor, Associate Professor & Assistant Professor Posts in Punjab. Applications are invited by Sant Longowal Institute of Engineering and Technology (SLIET) before 31 Jul 2017 for 44 vacancies.